Today, organizations everywhere want to become data-driven—directed by business knowledge rather than intuition or experience from the past. But to reach that level of sophistication, they need someone at the helm who is capable of forming a strategy for data usage and governance. Enter the “chief data officer,” or CDO. 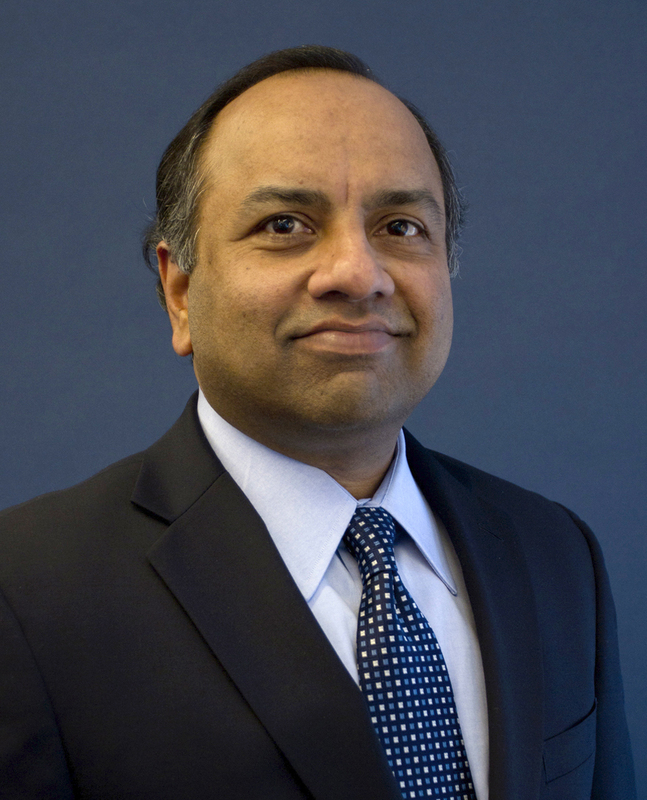 Recently, Big Data Quarterly spoke with Ramesh Nair, North America Financial Services leader at Accenture Applied Intelligence, about why more companies are putting executives in that role. Are more companies putting chief data officers (CDOs) in place? Absolutely, we have seen a sharp rise in the number of CDOs throughout organizations regardless of size in recent years. Business executives continue to have even greater expectations from their data, but many are challenged to keep up with today’s data demands and sophistication of analytics and technologies. They need a seasoned and knowledgeable senior executive to lead them through this change. This is why the role of CDO becomes critical and why many more companies will put a CDO in place—it offers true strategic advantage about data at the enterprise level. What is their role and responsibility? It’s an interesting question as the role is still relatively new and definitely still evolving. A couple of years earlier, I would have said that the CDO would be focused solely on data quality, data management, and regulatory/compliance. If you look at the role today, especially with the proliferation of big data, CDOs are increasingly responsible for much more—innovation and growth agendas, transformation from legacy systems to new big data ecosystems, and looking ahead to position their companies for next-generation technologies such as AI and blockchain. I think that this continual evolution will be the case for the foreseeable future. Is there consensus among organizations on this role or does it vary substantially at different companies? Although we’re starting to see some common themes emerge, the role of the CDO often changes substantially from company to company as it is still relatively new and evolving. Earlier this year, Accenture Applied Intelligence hosted a 2-day CDO Roundtable for Financial Services. We had representation from companies across the financial services industry—banking, capital markets, insurance—all with CDOs in place, all of which had different responsibilities and different bosses. For example, we had some CDOs who reported to the chief information officer, some to the chief operations officer, while others reported to the chief risk officer. Within each of these groups, their responsibilities varied. Some were responsible for data management and governance, others for technology and operations, while others only focused on data management and big data analytics. It was definitely interesting to see how much each CDO’s responsibilities varied just within this group we hosted. Is there an industry sector that is embracing adoption of CDOs? We are seeing that the financial services industry is the leading sector embracing the adoption of the CDO. It makes sense when you take a step back and look at the data ecosystem for financial services companies. They process massive amounts of data on a daily basis, have to plan and navigate through an ever-changing regulatory landscape, need to protect data from sophisticated attacks on a daily basis, and have to figure out how to keep evolving their business strategy. The need for a CDO in these companies is very real, and this industry has taken the lead on embracing this role. As some CDOs noted, within financial services, data is the product—unlike other industries where data is in support of a “physical” product. How does this job compare to that of the CIO? The two roles should be complementary to each other. The CIO has traditionally been, and will continue to be, focused on the IT aspects of data—storage, volume, recovery, security, ingestion, access, and availability—and enabling the rest of the C-suite. The CDO is focused on taking data and turning it into a corporate asset to drive business growth. We also found that a number of the CDOs at the roundtable were actually working closely with their technology counterparts to jump-start their efforts. Ultimately, it will be important that these two work in tandem in order to achieve a successful digital transformation for their organization. Why are CDOs needed now? CDOs are needed more than ever. As the value, centrality, and complexity of data to the enterprise continues to increase, organizations need someone to create a strategy for optimizing data for competitive gain, executing on the delivery of this strategy, and extracting value from their data strategy. The CDO will be the point person to accelerate their company’s journey from the traditional data warehouse to next-generation data capabilities. What are the challenges CDOs are facing? Our roundtable participants provided some practical insight into what’s keeping them up at night. These challenges fall into three broad categories—getting the foundational data capabilities right—metadata management, data quality, data lineage, and data governance; extracting value from their current big data investments; and preparing for the future. Speaking of the current big data investments, two major challenges that were discussed at length were how to decommission and migrate legacy data and analytical environments, and how to transform talent and culture. Although these are significant challenges, they can stand out as great opportunities for CDOs to demonstrate value. How does architecture factor into the success of executives in this position? The CDOs at the event actually weighed in on this exact question. The group agreed unanimously that enterprises are headed toward the data lake construct—a move which brings performance and scalability powers unseen until now. From a conceptual architecture point of view, the fundamental notion is that of a shared concept. The group, however, questioned whether this current approach will be sustainable through the increasing explosion of data volumes and types, the wider dispersion and adoption of artificial intelligence and machine learning capabilities, and the ultra-fast performance required for companies to operate in real time. At the end of the day, the group agreed that architecture will play a big role in their continued success and that we need to start thinking about an enlightened approach to building future-proof architecture. Do you see the role of the CDO becoming more important in the future? I think the role will definitely become more important in the future—and sooner than you might think. We found this to be consistent with the group that we hosted at the roundtable, where roughly 50% of these CDOs were reporting directly to business leaders in the C-suite. The CDO will be the role directly accountable for guiding their organization and accelerating it to the “new.” The importance of this role will be highlighted as companies prepare for and make this journey. What needs to change in order for CDOs to enact the changes organizations seek? CDOs will need to take a holistic approach to their mandate for fixing the core foundation—data, technology, processes, and talent—while leading a transformation across the enterprise. Ultimately, though, to be successful in this role, CDOs must rely on their ability to step outside their comfort zones and seek broader remits and decision rights.